I accidentally got into your great gallery. I've rated 5 last beautiful works with 5 stars. I'll be very glad if you can leave stars on my pots you liked. All the best, Ami. 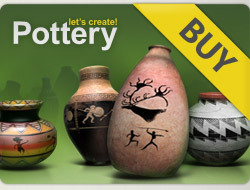 24 x 5***** for your newest gorgeous pots! 9 new wonderful pots ,5*****, Ami!